Selene from Underworld, as a life-size bust! Limited edition of only 500 pieces! She deals in death. From the blockbuster Underworld movies, comes this magnificent life-size bust of Selene! 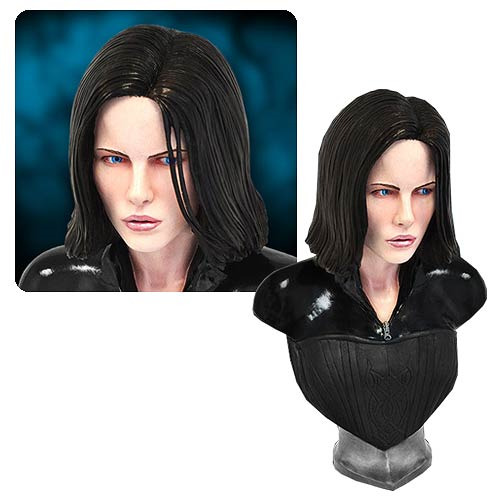 This amazingly lifelike bust features a stunning likeness of Kate Beckinsale as the Death Dealer Vampire Selene, and is sure to be the centerpiece for any Underworld collection! Constructed from fiberglass and mixed media, this incredible piece of art is then hand painted to the finest detail. Ages 17 and up.